The Carrier Motion Appliance is used for Class II Patients, to correct Class II at the beginning of the treatment, before braces or aligners are placed. The appliances simplicity and easy-of-use add up to more predictable results and overall shorter orthodontic treatment time. Plus, patients to have less time in braces making the Motion Appliance a real game changer. Remarkably easy-to-use and patient-friendly solution for Class III treatment. The Motion 3D Class III Appliance is a minimally invasive appliance intended to treat Class III malocclusions without extractions, painful orthognathic surgery, or traditionally uncomfortable and obtrusive facemasks. The Motion 3D Class III Appliance is as easy to place as a bracket or buccal tube, and is designed to provide predictable results and create a harmonious, balanced profile, all while preserving the patient’s natural features. 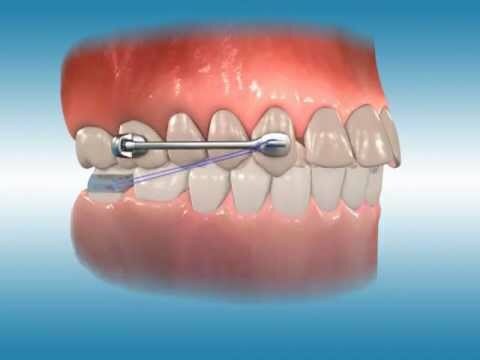 Intra-oral elastics connect the appliance with maxillary anchorage to activate the mandibular posterior segment and to move it bodily as a block for an ideal Class I malocclusion. Once the ideal platform is achieved, brackets or aligners are then placed to finish the case.